Well, if it wasn’t for all of the tragic stuff happening in the park, I would say it’s been an amazing trip so far this week. Loonie and I had an awesome three days at site 12, Gregory Bald, site 13, and then back to the bald. Loonie really struggled on the climb but she was a trooper and made it. And the bald didn’t disappoint. 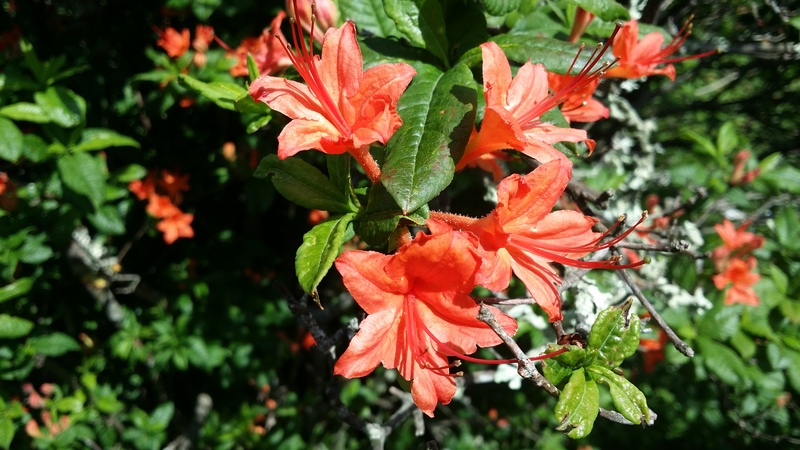 Very few azaleas in bloom but it was spectacular all the same. We had clear, dry skies the whole trip. 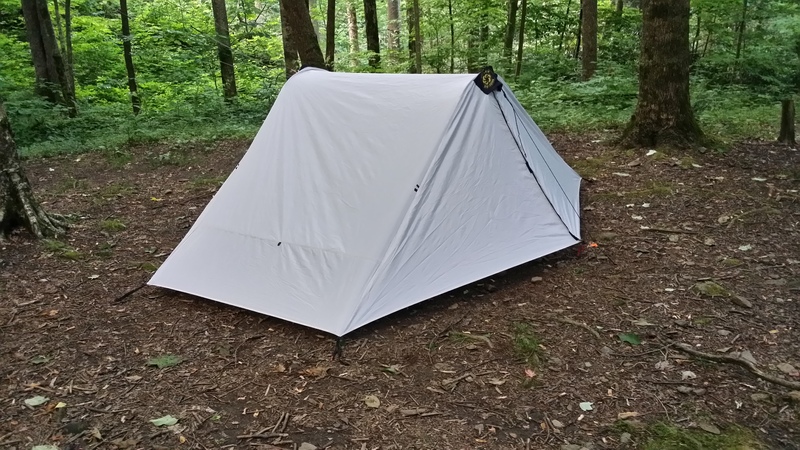 The new Six Moon Designs Lunar Duo worked great…perfect size for the two of us. Takes a bit of tweaking to get a perfect pitch but nothing that can’t be fixed with more practice. Should be much more storm – worthy, though I would rather it not be put to the test this trip. And go figure, we drive 550 miles to get to the park and who is at the same campsite each night? None other than Stephen Sidbury from Knoxville…same guy Deep Woods and I ran into on Mt LeConte several weeks ago. The guy never leaves the park!!! Now for the tragic. First, a 16 yr old boy was mauled by a bear while sleeping in his hammock at a backcountry site on Hazel Creek. His father, who was in a hammock nearby, was able to get the bear to back off but not before the boy sustained significant injuries. He had to be airlifted out but I believe is supposed to recover. 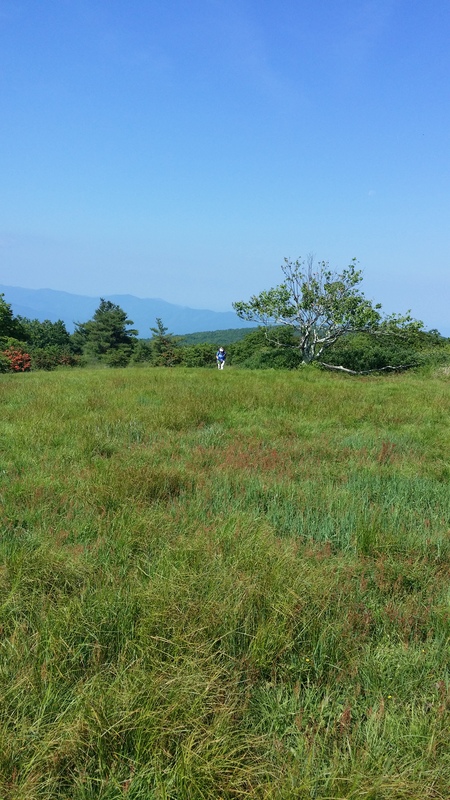 As a result of the attack, sites all along Hazel Creek all the way up to the Appalachian Trail, including Derrick Knob shelter, have been closed. Even more tragic, an experienced female hiker in her 60’s was reported missing and later her body was found in the Porter’s Creek area in Greenbrier just yesterday. She was apparently very familiar with the area and so far no details are available as to what happened. Sad. Other than that, there have been numerous reports of lost hikers and encounters with bears the last few days. Fortunately the outcomes were much better. Loonie and I are headed back out now to the Lynn Camp Prong area for two nights. Supposed to be hot but hopefully rain-free. Pics for the whole trip will be coming soon. Oh, and I’m going back and fixing a bunch of stuff on the site so if things look out of whack, don’t be surprised. Should be fixed soon…I hope. Cool stuff. Have a great time and be very, very careful.